When deciding what type of home to purchase it can be difficult to choose! There are so many options available to the modern home buyer from single family homes and bungalows to condos and townhomes. Is there a right answer? Yes! It all depends on your unique needs and lifestyle. At Copperstone, our Townhomes present a great opportunity for a variety of home seekers who are looking for a sophisticated home at a condensed cost. With 14 floor plans to choose from, there are plenty of options for different lifestyles. Townhomes are famous for their functional layouts within a more condensed space. For those who are going through a transition period moving from a larger single family home into a more manageable area, our Townhomes for sale in Calgary are an excellent choice. With sophisticated finishings including oversized windows, 9-foot ceilings, wide plank laminate flooring, and a stylish main-floor powder room, our units are proof that you can downsize while upgrading! Ranging from 1,330 to 2,290 square feet these Townhomes for sale in Calgary are laid out in a way that makes the size (and price!) manageable. First Time Home Buyers are having their moment in real estate. With all the changes in the real estate industry in Canada both in the past and on the horizon, purchasing a home for the first time is becoming more accessible. Our Townhomes for sale in Calgary are the perfect match for buyers who are looking for a sophisticated home with modern layouts and spacious living areas. Townhomes introduce homeowners into a way of living that – unlike a condo – you have space to breathe but – unlike a detached home – don’t have to worry about all the expenses and extra costs that go with single family home ownership. For first time buyers, Townhomes truly are the dream! The flex room layouts in our Townhomes for sale are the perfect choice for busy professionals. They allow homeowners to create a custom space to serve your unique needs. Skip driving to the gym and save time with a home workout, enjoy the natural sunlight while working on a proposal, even study for your designation! Whatever your need, the Alden floor plans present great spaces and layouts for busy professionals. 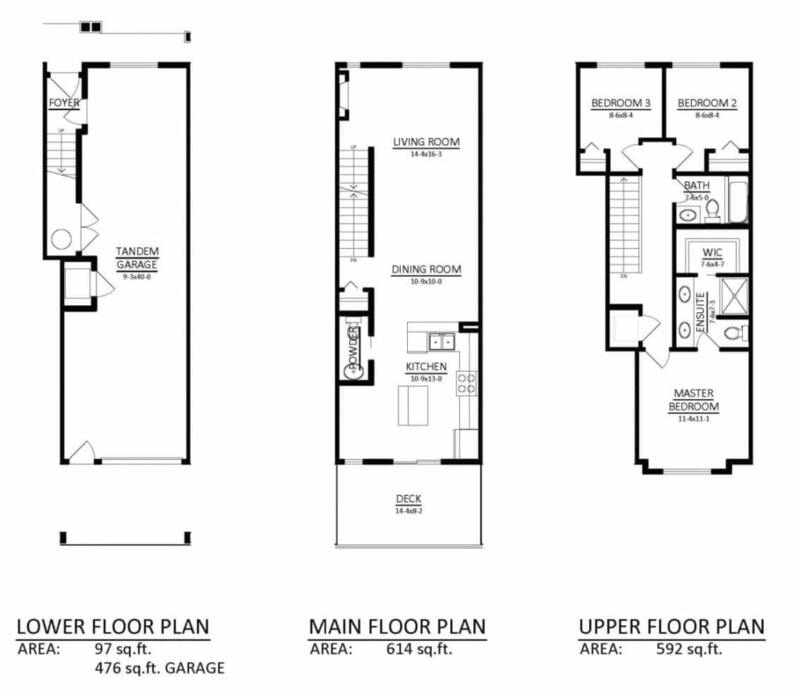 Our Townhomes for sale in Calgary are fairly sizeable living spaces! With 2 to 3 bedrooms ranging between 1,330 to 2,290 square feet, small families find comfort in these elegant homes. With a choice from 14 floor plans, home buyers have the freedom to choose which layout will work best for their family. Each home has a double attached garage, front and backyards, and options to customize your home to match your family’s style. Gourmet kitchens featuring premium stainless steel appliances, plenty of storage, and contemporary cabinetry. Note that the Alden floor plans have lower flex rooms to transform into media room, office, man cave, guest bedroom, yoga room, etc. 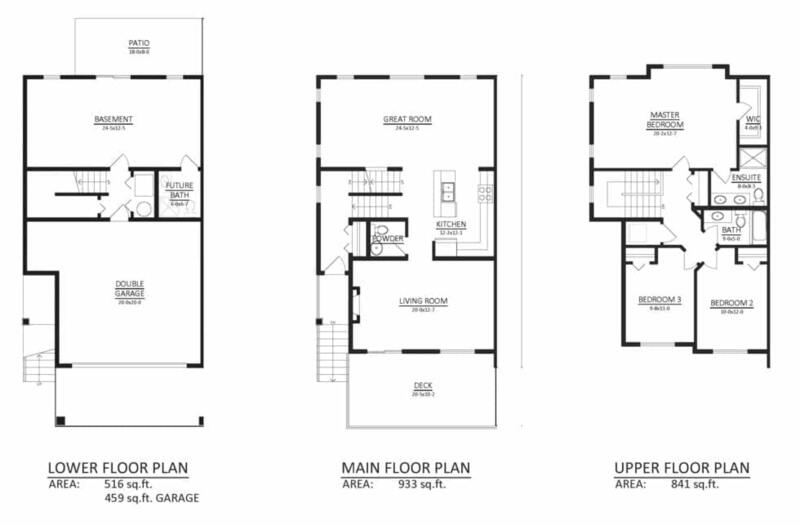 Explore all our floor plans here! 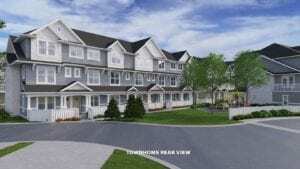 Townhomes are a great option for a wide variety of homeowners. As with all Townhomes, there are condo fees between $175/month to $210/month. Those are the only extra fees within the community. It’s important to note that unlike many communities in Southeast Calgary, the residents of Copperstone enjoy zero Homeownership Association fees! While our base models are finished with all the features above, homeowners have the option to upgrade certain aspects of their homes. Home buyers choose from 3 professionally designed colour palettes to reflect your individual taste and style as well as the option of upgrading the flooring from laminate to luxury vinyl plank or hardwood. Explore our show homes designed by SmithErickson Designs when they open in May 2019 for inspiration and ideas on how you can customize your own Townhome! Home buyers have 14 floor plan options to perfectly tailor to unique lifestyles! At Copperstone, our homes are not built with a one-size-fits-all in mind. They’re designed to be flexible and creative where home buyers can make the most of their space in whatever way they see fit. 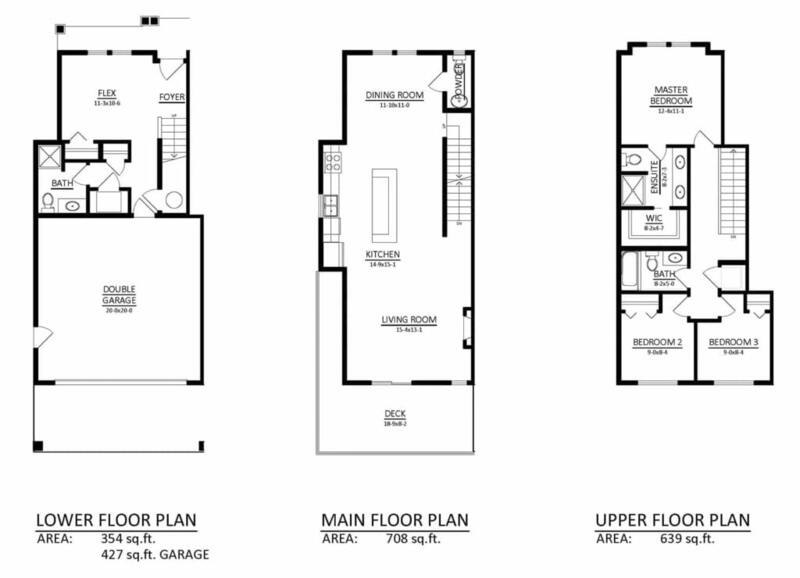 Explore the floor plans of our Townhomes for sale in Calgary and find your ideal match! REGISTER TODAY to stay informed with the latest details and information as it becomes available for Copperstone.